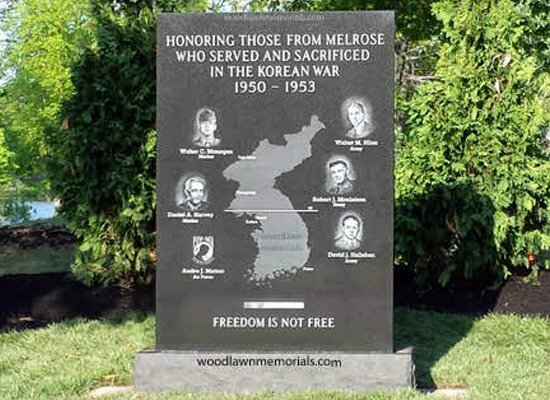 Melrose Korean War Monument. 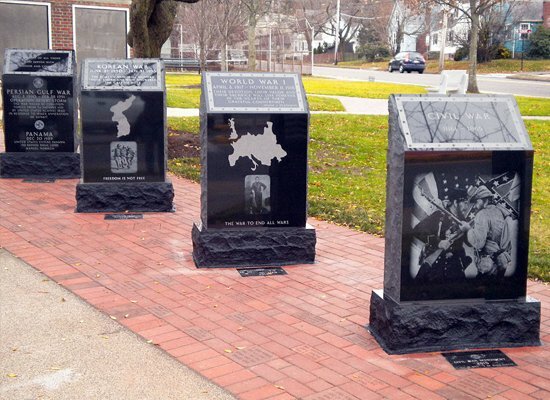 Carved in Jet Black granite with etched portraits of the 6 Melrose, MA residents who lost their life fighting for our country. 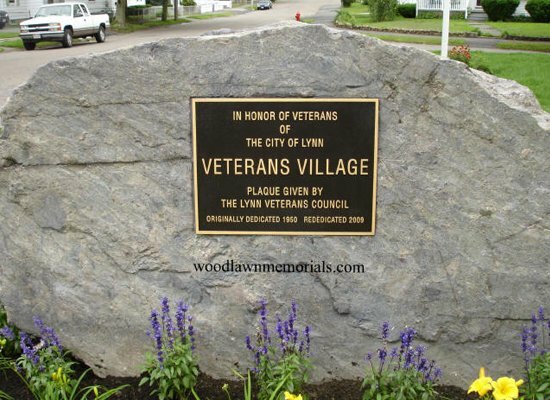 Dedicated by the citizens of Melrose on May 24, 2015. 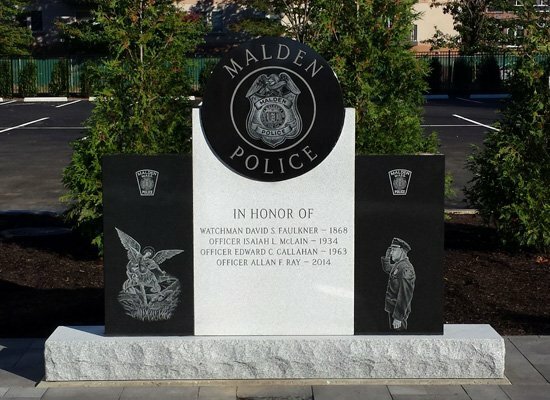 Middlesex Sheriff’s Fallen Officers Granite Memorial features a hand etched badge in color, gold leaf lettering on an Absolute Black Granite center tablet with Barre Vermont Grey Granite wings in an all memo finish. 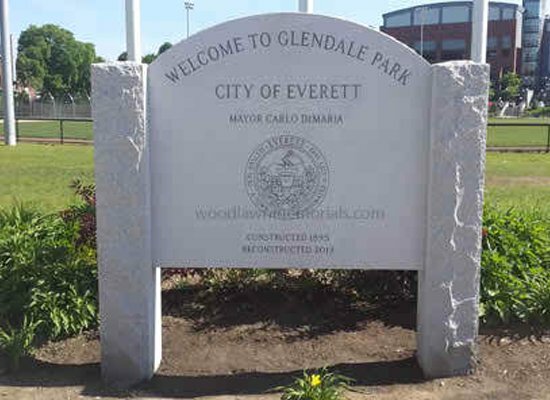 This monument was dedicated on May 4, 2011 in Billerica MA. 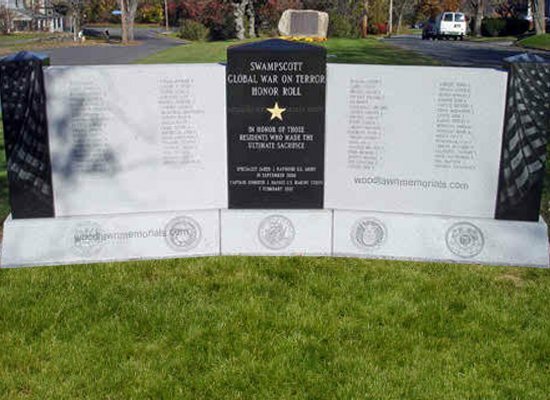 Swampscott Desert Shield / Desert Storm Memorial designed in a granite color that represents the desert sand and hot sun our brave soldiers had to endure during Operation Desert Shield and Operation Desert Storm. 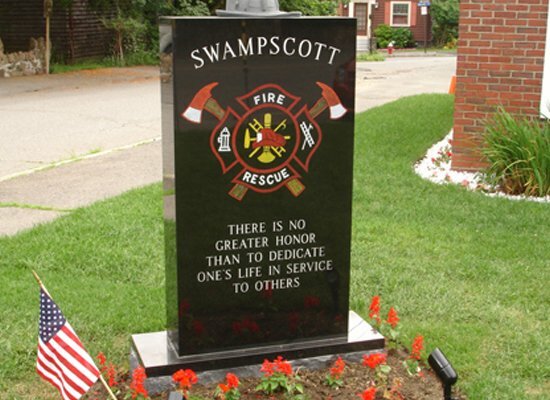 This unique civic memorial was dedicated in Swampscott on November 11, 2009. 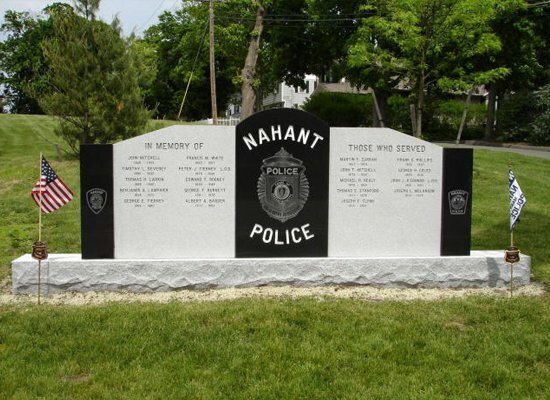 This Nahant Police Memorial has a Jet Black granite center and ends, along with custom hand etchings of badge and uniform patches. 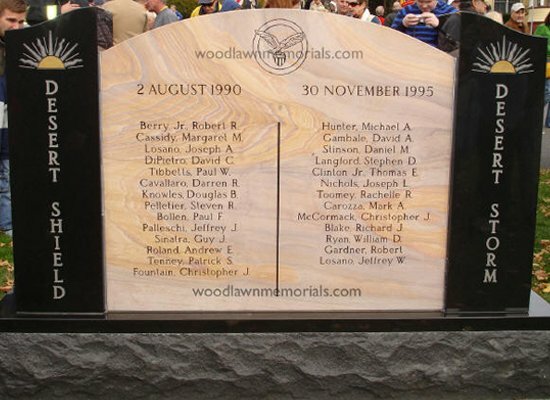 The wings and base were carved in medium Barre Vermont granite. 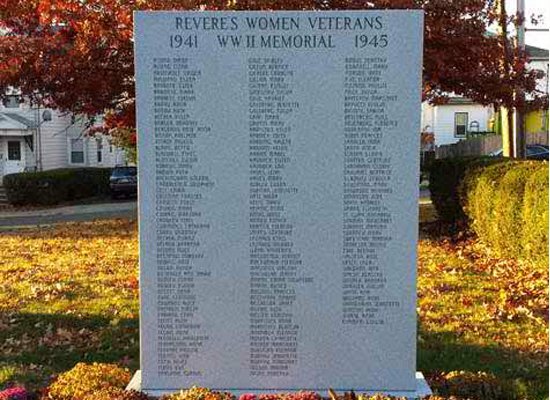 Revere Women Veterans World War II Monument. 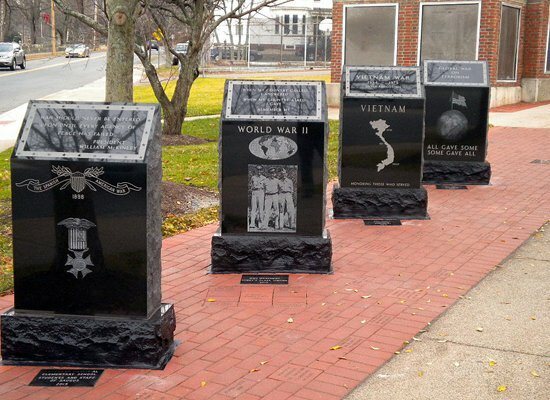 This Barre Granite Memorial Tablet Recognizes and Honors The Many Women Who Served in The Military During The War. 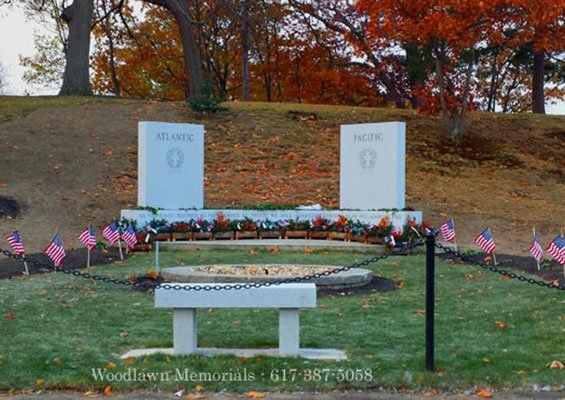 Dedicated on September 9, 2012 in Revere, MA. 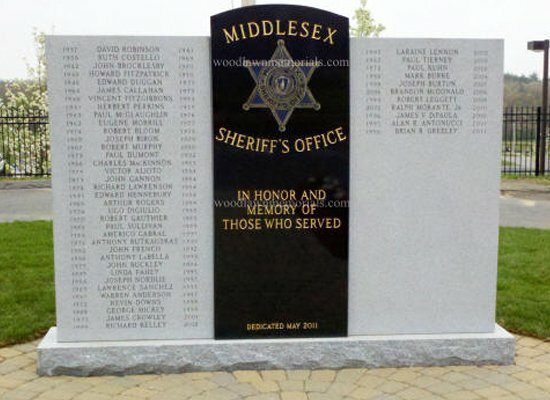 Suffolk County Sheriff’s Fallen Officers Monument Honoring Those Who Served The Suffolk County Sheriff’s Department. 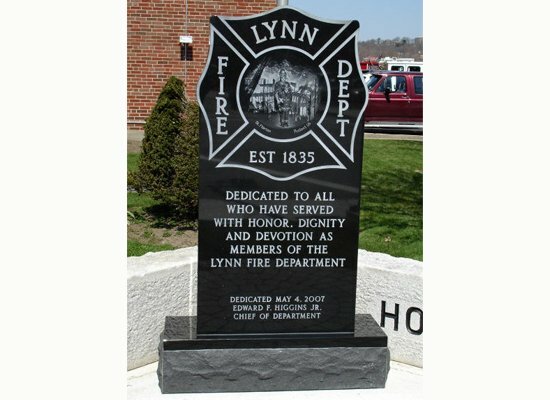 Carved in Barre Vermont Granite in a smooth unpolished steel finish. 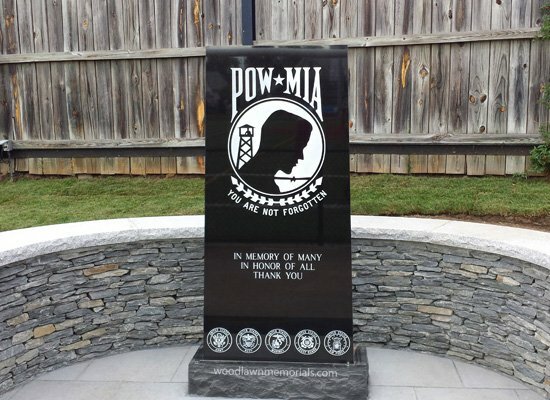 The center design was done in Belfast Jet Black Granite with a hand etched badge in relief. 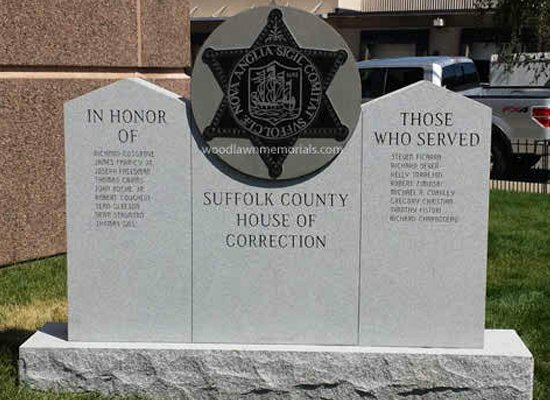 Dedicated on September 4, 2014 at the Suffolk House of Correction in Boston. 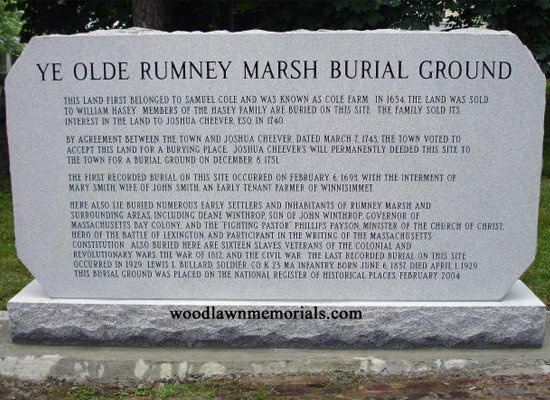 This Barre Granite Monument Recognizes “The Olde Rumney Marsh Burial Ground” Located in Revere, Massachusetts Along With Many People Who Lie Buried Here. 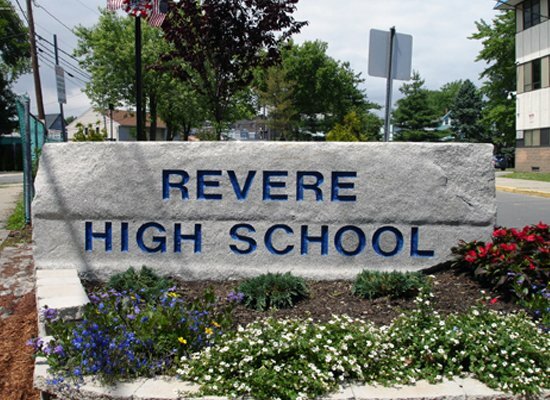 This rough block of granite which had been stored behind the DPW headquarters for many years was transformed into a beautiful granite sign. 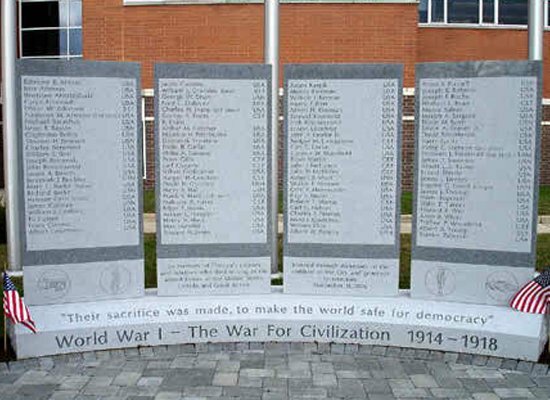 Melrose World War II Monument – Carved in Barre Vermont Granite. 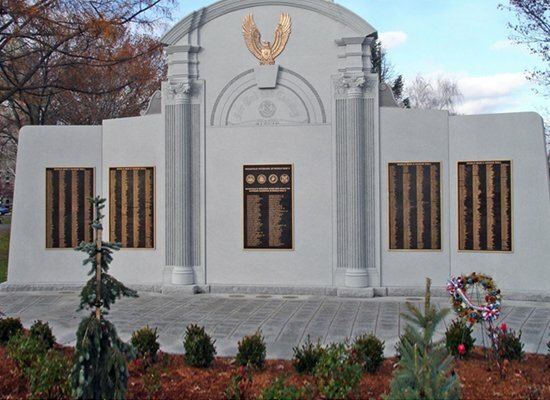 It features some design elements and key symbols from the national monument in Washington, D. C., including a water feature, Atlantic and Pacific wreaths and the “Kilroy was here” symbol engraved on one of the benches. 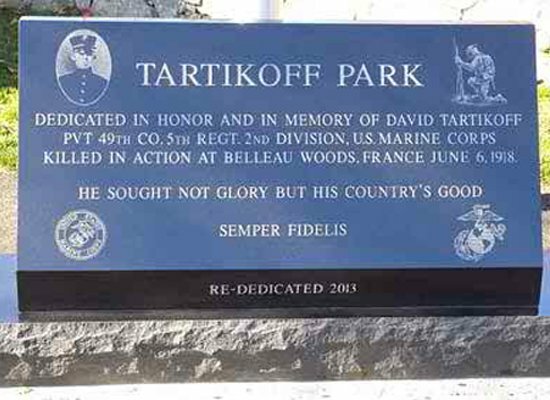 This monument was dedicated on November 11th, 2017 at the Knoll in Melrose, MA.